As the global economy recovers from the impact of financial crisis of 2008 leading to improvement in demand for Indian goods and the country widens the direction of its exports, the shipments of engineering goods from the country have increase by nearly 50% on year-on-year basis over the period Apr-Dec 2010, according to an industry body. The Engineering Export Promotion Council (EPCH) said on Sunday that during the first nine months of the current financial year, total exports of engineering goods jumped to $37 billion, compared to the corresponding period of the previous fiscal. Chairman of the EPCH Aman Chadha said that good demand had been seen from non-conventional places like emerging Asia, Latin America and Middle East, although the recovery in the European economy was still quite fragile and demand yet to pick up. 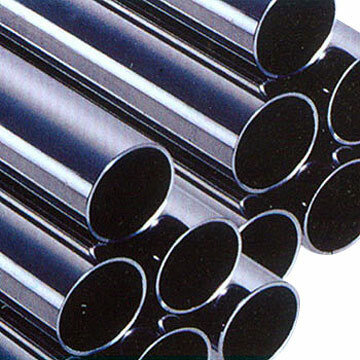 In the full financial year 2009-10, India’s exports of engineering goods stood at $32.5 billion. Out of this, the US and EU accounted for about 65% of the shipments. However, in the aftermath of global financial crisis, the exporters have been looking to reduce dependence on traditional markets like the US and Europe, and have been exploring new destinations in regions like South-East Asia and Latin America. So far they have succeeded in this regard, said Chadha. Blue Bird (India) has received Corporate Debt Restructuring (CDR) Cell’s approval for its restructuring proposal under CDR system. The company bagged the necessary Letter of Approval as on January 28, 2011. 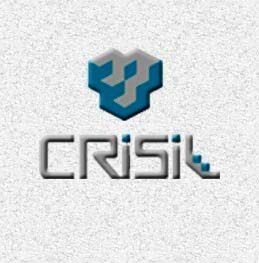 The company due to cash loss and delay in recovery of dues from the customers faced a cash crunch resulting into default in payment to lenders and other creditors. The company for seeking extension of time and repayment had submitted a CDR proposal to CDR Cell of Reserve Bank of India on March 30, 2010. Blue Bird (India) is leading manufacturer of exercise books and stationary in India. HDFC Mutual Fund has declared dividend under dividend option of HDFC FMP 100D October 2010 (2) on the face value of Rs 10 per unit. The quantum of dividend will be entire distributable surplus as on the record date. The record date of dividend distribution is February 3, 2011. The scheme recorded NAV of Rs 10.1954 per unit as on January 27, 2011. The investment objective of the scheme is to generate income through investments in Debt / Money Market Instruments and Government Securities maturing on or before the maturity date of the respective plan. Karur Vysya Bank has reported the results for the third quarter ended December 31, 2010. Karur Vysya Bank registered an increase in its net profit by 49.23% for the quarter ended December 31, 2010, which stood at Rs 113.22 crore against Rs 75.87 crore for the quarter ended on December 31, 2009. Mentha Oil futures price fell down as the traders indulged in profit booking, driven by fall in demand in the spot market. It is reported that some more dips may be there in the short term though expected rise in demand at lower levels could support the rates in the medium term. The contract for January delivery was trading at Rs 1155.30, down by 0.54% or Rs 6.30 from its previous closing of Rs 1161.60. The open interest of the contract stood at 2855 lots. The contract for February delivery was trading at Rs 1167.80, down by 0.35% or Rs 4.10 from its previous closing of Rs 1171.90. The open interest of the contract stood at 3523 lots on MCX. 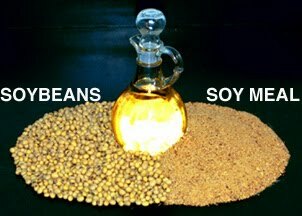 Refined soy oil futures are trading high supported by the gains in the global markets. Malaysian CPO futures have gained very sharply on Monday while the commodity prices witnessed up move on CBOT too in previous session. 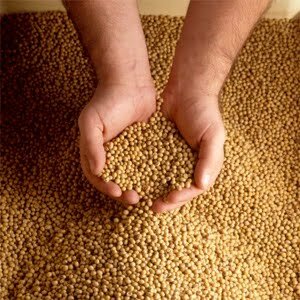 The trend of the soy oil prices in the domestic markets are remaining firm for last few days. The contract for February delivery was trading at Rs 672.00, up by 0.89% or Rs 5.90 from its previous closing of Rs 666.10. The open interest of the contract stood at 103310 lots. The contract for March delivery was trading at Rs 678.25, up by 0.81% or Rs 5.45 from its previous closing of Rs 672.80. 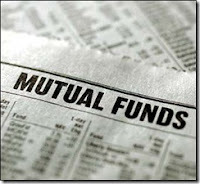 The fund house has announced dividend of Rs 0.00117600 per unit for both individual / HUF and others for January 23, 2011. State-run firm Coal India (CIL) has lowered its production targets for 2010-2011 and 2011-2012 financial years as the pollution norm has hit the output from almost all its mines. 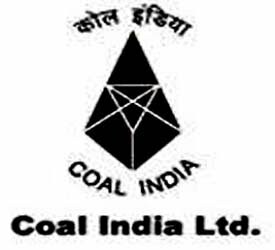 The company has informed the government that it will produce a 440 million tonnes of coal during the 2011 financial year against the original target of 460.5 million tonnes. For 2011-12, CIL is now targeting a total production of 447 million tonnes, against the earlier target of 486 million tonnes. Targets have been cut by 20 million tonnes in the current fiscal and by almost 40 million tonnes during 2011-12. It is also reported that the company was forced to reduce its production targets due a pollution norm that will restrict it from expanding existing mines as well as taking up new projects in mining areas. Ashiana Housing’s 100% subsidiary company -- Ashiana Retirement Villages has sold off 2,00,500 equity shares (constituting 1.07%) of its total holding. Earlier, the company held 3,26,395 (constituting 1.74%) numbers of equity shares of the company. Ashiana Housing (earlier Ashiana Housing and Finance India) was founded in the year 1979. It undertakes real estate development projects, residential as well as commercial, in the country. 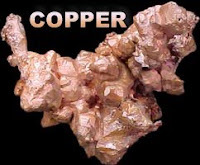 Copper prices advanced in Tuesday’s session as investors expected the demand for industrial metal to rise as the recently reported better than expected industrial activity in US and Europe spurred optimism. Contracting global stockpiles for the red metal in the face of strong demand from emerging markets supported the prices of the industrial metal while a weaker American greenback too made the dollar denominated commodity cheaper for overseas investors. Copper futures for March delivery gained 0.4% to settle at $4.4280 per lb on the Comex metals division of the New York Mercantile Exchange. Copper for three-month delivery on the London Metal Exchange climbed $70 to $9,700 a tonne. 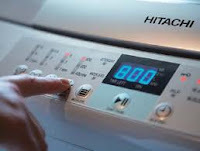 Consumer durables firm Hitachi Home and Life Solutions is planning to enter into the washing machine business by end of this year. The company intend to launch seven kg, above top loading washing machines and front loading machines. In this regard, the company will import washing machines from Thailand, which has the company’s largest manufacturing facility in the world. The company is also planning to double its dealers to 3,000 units with focus on Tier II and III cities. At present, Hitachi has three facilities in Japan, China and Thailand for manufacturing its range of washing machines. Fidelity Mutual Fund has opened the New Fund Offer (NFO) Fidelity India Children's Plan - Marriage Plan, an open-ended hybrid plan. The NFO opens for subscription on January 17, 2011 and will close on January 31, 2011. No entry load is applicable. For Marriage Fund, an exit load of 3% will be charged for redemption within 1 year from the date of allotment or purchase applying First in First Out basis. An exit load of 2% will be charged, if redemption is made within 2 years from the date of allotment or purchase applying First in First Out basis. Further, an exit load of 1% will be charged, if redemption is made within 3 years from the date of allotment or purchase applying First in First Out basis. India’s No. 2 software exporter Infosys is plannings to acquire smaller government IT contractors in the US as the company tries to move into the $70-billion government outsourcing market in the country. A buyout will help Infosys tap the market faster, as getting necessary qualifications to bid for government contracts can take 1-2 years through the normal route. Smaller outsourcing firms based in the US, act as the front-end for larger procurement programmed by different government departments. These firms already have necessary approvals and are eligible to bid, and even become master supplier, for large outsourcing contracts anywhere from $500 million to a billion dollars. The acquisition would be anywhere between $15 and $25 million. UTI Mutual Fund has declared dividend under he dividend option of UTI Dynamic Bond Fund on the face value of Rs 10 per unit. The fund house has decided to distribute 100% of distributable surplus as on the record date. The record date is set as January 20, 2011. The scheme recorded NAV of Rs 10.0717 per unit as on January 13, 2011. The investment objective is to generate optimal returns with adequate liquidity through active management of the portfolio, by investing in debt and money market instruments. Physical rubber prices steadied on Thursday after showing a mixed trend. 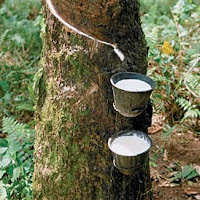 Though, the global cues remained strong as the Tokyo rubber futures hit another record high on expectations of strong demand as well as supply concerns, while on domestic front the futures closed marginally lower. Spot prices for RSS-4 and RSS-5 variety closed flat at Rs 220 and Rs 208 respectively. In the futures market, the contract for January delivery for RSS-4 closed at Rs 218 compared to its previous closing of Rs 218.11 while the contract for February delivery closed at Rs 225.90 compared to its previous closing of Rs 225.92 on the National Multi Commodity Exchange. 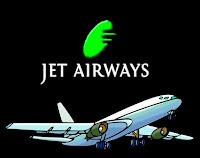 India’s largest carrier in terms of passenger volume, Jet Airways is planning to add 49 aircraft over the next three to five years. The airline is planning to add these aircraft from the next financial year. 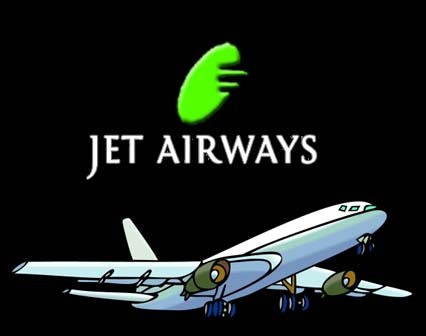 Recently, Jet Airways announced that it was planning to operate wide body airplanes from the summer schedule to resolve congestion at some of the major airports in the country. Further, it reported that from the summer schedule, it will be operating wide bodied Airbus A330s in a few of its flights to and from Delhi, Mumbai and Chennai as the congestion at airports limit the number of flights it can operate. The Indian government is set to review the cap on cotton exports from the country on Friday. The Empowered Group of Ministers (EGoM) under chairmanship of union finance minister Pranab Mukherjee had said while formulating the 5.5 million bales (of 170 kg each) limit on exports that the quota would be reviewed in January when a clearer picture of harvest emerged. The review comes in backdrop of upward revision in estimates of cotton production in the current season starting September 2010. India’s Cotton Advisory Board (CAB) had recently revised upward estimate of harvest to 32.9 million bales. 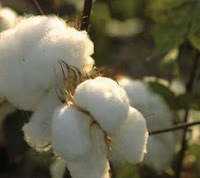 Cotton Association of India (CAI) on the other hand expects even greater upside and has estimated the current season’s production to be 34.75 million bales of 170 kg each. The textile industry on the other hand is lobbying hard to prevent any further exports of cotton. Already the prices of cotton have more than doubled over last one year and further exports will only boost prices in the domestic market. The industry had recently in a letter to the Prime Minister Manmohan Singh demanded immediate ban on export of cotton and cotton waste in wake of recent surge in prices in both Indian and international markets. Fidelity Mutual Fund has declared dividend under the dividend option of Fidelity Equity Fund, an open ended growth scheme. The amount of dividend under the scheme will be Rs 1.50 per unit as on the record date. The record date for dividend has been fixed as January 17, 2011. The investment objective of the scheme is to generate long-term capital growth from a diversified portfolio of predominantly equity and equity-related securities. The committee of Kirloskar Ferrous Industries in its meeting on 10 January 2011 has extinguished 1,000 detachable warrants and has allotted 1,000 equity shares of Rs. 5 each fully paid, pursuant to the conversion of detachable warrants into equity shares. Consequent to the allotment, the paid up share capital of the company stands increased to Rs. 68.65 crore.